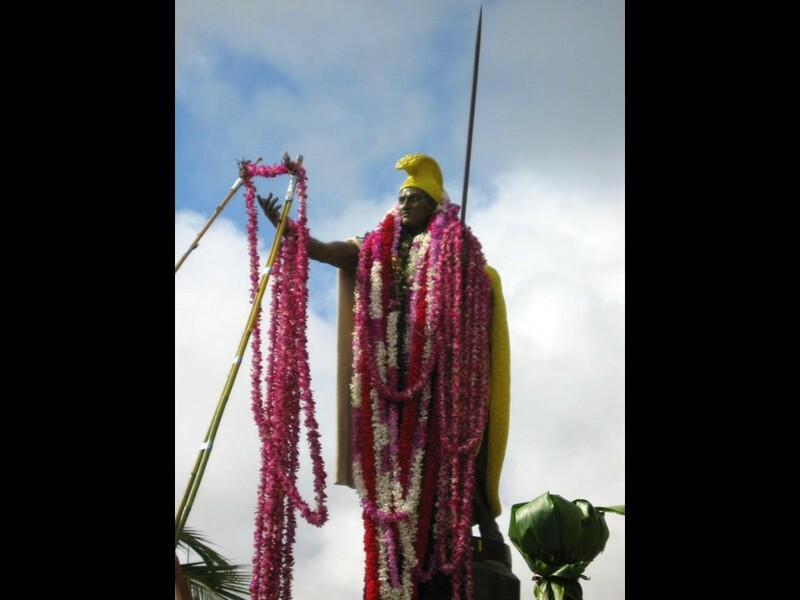 Celebrated on June 11th each year, King Kamehameha Day is a public holiday honoring Kamehameha the Great. First held in 1872, the holiday was established by King Kamehameha V to honor his grandfather. It was proclaimed again when Hawaii became a US state in 1959. King Kamehameha I unified the Hawaiian islands into a single nation. Before him, each of the islands had their own degrees of sovereignty and were largely ruled by local monarchs. Through great effort, battles, and political strategies, Kamehameha I was able to unite them. Many state civic offices throughout Hawaii close for the day in observance of the holiday. There are many local celebrations including floral parades, hula competitions, cultural reenactments, and a draping ceremony, where statues of King Kamehameha I are draped with long lei. This King Kamehameha I statue in Kohala, Hawaii is upkept in part through donations from the National Center for Preservation Technology and Training.